The company formerly known as TNA sure has had a topsy-turvy last 5 years, haven't they? Their in-ring action has always been decent at worst and pretty good at best, but that has never really been their big problem. Rather, one poor business decision after another led to the company going from a solid no. 2 company and an alternative to WWE to a company hanging on by a thread. While 2018 brought some business and creative stability to Impact, the one thing everyone knew had to improve was their U.S. TV distribution. We all know the story by now. 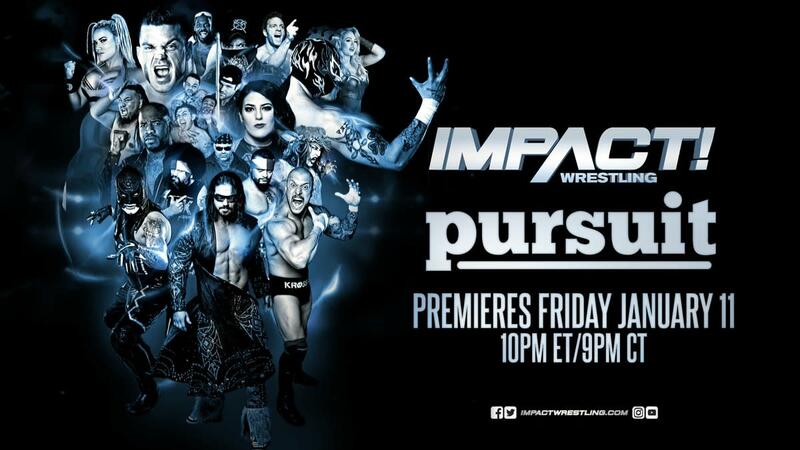 Impact was on Spike TV (now Paramount Network) until 2014 and then signed a deal with Destination America which lasted all of five months before the plug was pulled. Since then, they have been on POP TV. This continued TV shuffle wasn't just a case of going to lesser networks, but continually getting less money in exchange for their programming. They went from a reported $9 million on Spike to $3 million on DA to a barter deal on POP where they split advertising revenue. According to a 2016 report on PWTorch, Impact was receiving about $18,000 an episode, which doesn't come close to covering the production costs, even with a stripped down budget. In comparison, USA Network charges around $13,000 for a single commercial on Raw or SmackDown. So with that in mind, everyone knew Impact had to find a better home on cable. Rumors flew. WGN seems to always be looking for wrestling, Syfy, which had WWE for 10 years, was talked with and even TruTV was in the mix. There was even hope of a Impact Homecoming of sorts on Paramount. Needless to say what happened was surprising for more than one reason. On December 21st, Impact posted a graphic on their Facebook page that just read “Impact Wrestling. Pursuit. Friday January 11. 10pm”. For 30 seconds, I thought that Pursuit was a brand new show they were producing, that the name was cool, and good for them as they may make a little more money even with a lousy time slot. Then I read the comments and realized that it wasn't a name of a show, but the name of an obscure network that Impact was headed to. After quickly checking my Comcast guide and finding out that Pursuit Channel is nowhere in my 1000 channels, I went on my own pursuit to find out more. Pursuit is a hunting and fishing channel that, as of 2015, was available in around 42 million homes, mostly through DirecTV and Dish Network. Based on quotes from Anthem's Ed Nordholm, you can generously round up and say they are at around 50 million homes currently. In comparison POP TV was in 75 million homes as of 2016, so Impact is losing around a third of its potential viewership, which was shrinking to begin with, and are going to a bad time slot on the worst night to draw tv viewers. In March 2018, seven million people total watched Pursuit, an average of 225,806 people per day. This weekend, I contacted Comcast, the largest cable subscriber in the US with over 22 million subscribers, and asked them if there were any plans to add Pursuit to which my customer service agent informed me that there were no plans as of this time. All 22 million subscribers do have access to POP, so all Comcast viewers will no longer be able to watch Impact which makes it even more difficult to sell pay per views without the weekly tv to build it up. The kicker is Anthem, the parent company of Impact, owns a “significant minority interest” in Pursuit. So we may never know if any of those aforementioned tv networks were really negotiating with Impact, but what we do know is Anthem basically got it put on their own network. That means that not only are they taking a cut in potential viewership and not only are they going to a worse night to draw viewers, they are in a weird conundrum where, if they are being paid, the network is paying their parent company to air the show, so they are taking whatever monies out of one pocket and putting it in the other. If that was a legit way to run a profitable business, TNT should have just paid WCW $60 million a year for Nitro in 2000. The funniest comment I saw online from all this was someone mentioning the crossover potential during next year's 3rd Annual Eli Drake Gravy Train Turkey Trot which would definitely make the match more dangerous with the loser dressed like a turkey while on a hunting network. Ten years ago, TNA had the reputation of having a truly loyal audience with 1.4 million people watching no matter if it was Christmas, Thanksgiving, New Year's or against football. Next year will put the loyalty of what's left of their audience to a major test.